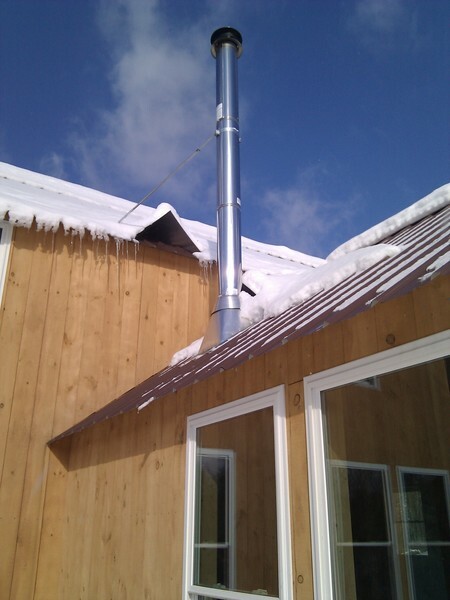 Installing the chimney pipe was one step we hired out but should have done ourselves. The pipe leaks when snow piles up and then melts on warm days. Eventually we may have to replace the flashing with a high-temp silicone boot.